8’x8’x8′ Three sided booth. Back side is 8ft high and 2 sides are 36 inches high. 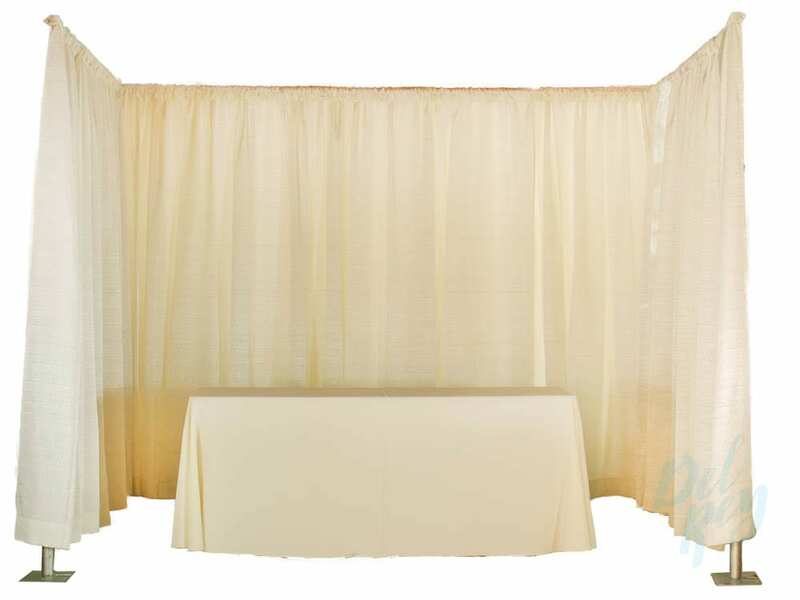 6ft table with floor length ivory table cloth.